NORFOLK, VA (February 13, 2017) – WHRO Public Media, in partnership with Virginia Wesleyan College and the Fort Monroe Authority, will host its sixth installation in the critical “Race: Let’s Talk About It” series on Tuesday, February 21, at 6:30 p.m. at the Fort Monroe Theater in Hampton, Virginia. Moderated by Barbara Hamm Lee, host of Another View, this event will focus on the relationships between police officers and communities of color in Hampton Roads. “The Talk” is the often difficult but increasingly necessary discussion Black and Latino families have with their children about avoiding confrontations with police officers. Attendees will also watch a special clip of PBS’ “The Talk,” which premieres on WHRO-TV15 on Monday, February 20 at 9:00 p.m. 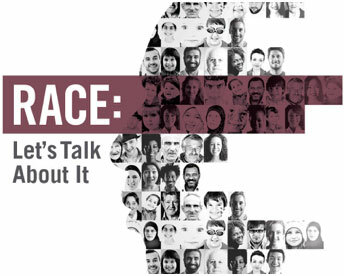 In October 2015, the “Race: Let’s Talk About It” town hall series launched in an effort to engage the Hampton Roads community in transparent dialogue about race relations. Specific topics have ranged from the symbolism of the Confederate flag to the role that race plays in politics and religion. “We are excited to continue these critical conversations. It has been inspiring to see the Hampton Roads collective community continue to attend these town halls and have the courage to be honest and critical about race in America and our community,” states Barbara Hamm Lee. To learn more about the Race: Let’s Talk About It town hall, please visit www.whro.org/talkaboutrace. You can download the #TalkAboutRace toolkit and follow the conversation on Facebook and Twitter.